Our first School Cycle in 2016 was a success, we welcome all of our students! we started our school cycle wit the right foot with our students who entered to le cordon bleu mexico after a well deserved holidays. 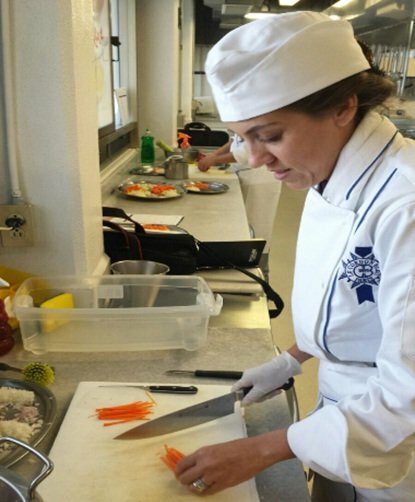 the first weekend, students of the Basic certificates will learn everything about the "distinctive h" under the tutelage of the food engineer Edna Sánchez and later apply these methods to every kitchenat the future takes them. We wish success in this new phase of your life!